Pioneers in the world of online art retail the dedicated team art artreoublic.com have been bringing an expertly curated collection of the best art to the internet since 1999. Our over-riding aim is to demystify art and make it accessible for everyone – whether you’re a long-term collector or want a one-off piece to decorate your home, you've come to the right place. We offer an amazing range of works including famous names such as Peter Blake, Pure Evil, Eelus, and Damien Hirst, right through to talented new artists just starting out their career. Being a truly independent company, we provide an unbiased travel management service with a global reach. We appreciate the importance of combining deep industry experience with business acumen, innovation, great people and the skills required to translate energy into results. In addition to developing executable strategies, we collaborate with our clients to deliver market leading solutions both online and offline, and build sustainable partnerships with a focus on maximising efficiency. Travel is critical to your company. You know the commercial efficiency argument for connecting people and businesses; for face to face meetings, to build relationships and develop business – but the cost! Along with the financial, emotional and safety concerns, getting your travel programme right is a major priority. UNIGLOBE Travel focuses on our clients by consulting and clearly understanding their objectives, and then developing a tailored solution. We appraise your stakeholder management by constructing the most cost effective travel programme to reflect the true business needs of your organisation. UNIGLOBE Travel is the largest single brand travel affiliation with the footprint, buying power, and technical competence to become your buying arm. We are the only Travel Management Company that can guarantee service levels globally, whilst providing the flexibility of an independent travel company. We are wherever you are. UNIGLOBE Preferred Travel are part of UNIGLOBE Global Solutions, an elite group of UNIGLOBE members from around the globe. Our Brighton headquarters has been in operation for over 15 years, and we have over 35 years experience in the Travel Management arena via UNIGLOBE Travel International. We are a credible and original voice in our market and a trusted partner to our clients. We act with integrity in everything we do, remaining true to our vision, values and beliefs. We are UNIGLOBE Travel, the only true alternative to the multiples. Fast Food restaurant locally founded in Sussex. 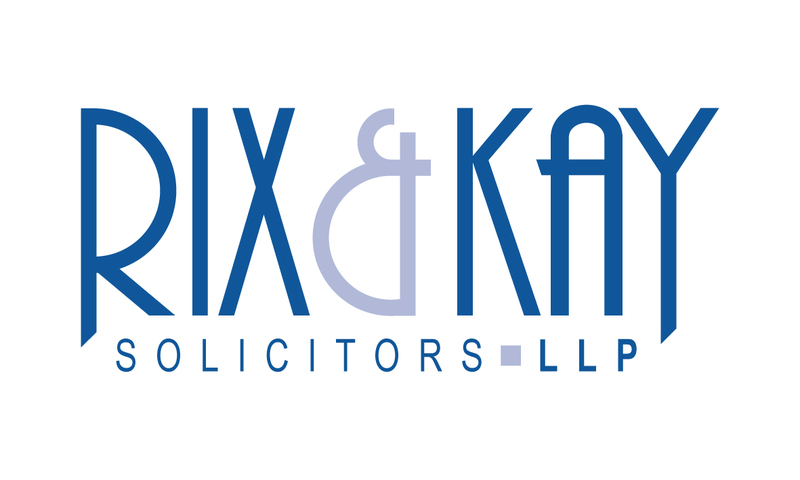 Rix & Kay is a forward-thinking and progressive law firm in the South East, which provides proactive, responsive and quality legal services across a range of sectors. Based in Ashford, Brighton & Hove, Seaford, Sevenoaks and Uckfield we advise clients locally as well as across the UK and internationally. Our approach is client focussed and our commitment is to deliver the highest quality of service and advice possible. Building strong and substantial client relationships remains the goal for Rix & Kay’s business strategy. We believe our most important asset is the professional skill and integrity of our lawyers. We are committed to employing and retaining personnel with the experience and technical ability necessary to ensure we are equipped to meet our clients’ objectives. We have created a culture where talented individuals, working together, can truly flourish and achieve great things. To find out more about our people please click here. We have been recognised as a leading firm in the 2015 edition of The Legal 500 UK in ten specialisms of legal services in the South East. We have also been recognised as a leading firm in the 2016 edition of Chambers UK in ten categories and thirteen of our lawyers are rated as “Leaders in their Field”. We are a Lexcel and ISO accredited law firm. Lexcel is the quality mark for excellence in legal practice and client care, awarded by the Law Society of England and Wales. Lexcel accredited practices undergo a rigorous independent assessment every year to ensure they meet the defined quality management standards required in seven areas: structure and strategy, financial management, information management, people management, risk management, client care, file and case management. The Lexcel quality mark designed specifically for the legal profession as only awarded to law firms who are able to demonstrate high client care and business management standards, it is described by the Law Society as a “top accolade”. We are also members of LawNet and Eurojuris International. LawNet is founded on an ethos of quality and all LawNet firms must achieve ISO 9001:2008 LawNet Quality Standard certification. Eurojuris International, representing around 600 law firms and 6 000 lawyers is the leading network of independent law firms in Europe, providing clients with unique local access to legal services throughout Europe. Cheetahs Gym, located at the King Alfred Leisure Centre, has been providing a valuable service for its customers since 1962! Starting in a single room, Cheetahs has expanded over the years now providing 12,500sq feet of pure gym. Combining the latest state of the art equipment with more traditional methods of training, Cheetahs caters for all types of training needs. The gym, which is divided onto four floors, has an advantage over other gyms and fitness clubs in that there is a separate training room for each muscle group, ie, chest training room, leg training room etc. Further more there is a separate ladies training gym on offer so that ladies can train in private if they wish as well as a brand new stretching room. ACG Property Services were established in 2001 and is a small company based in Hove. We carry out all building and property refurbishment works from private homes to office blocks and undertake all types of shop fitting. We are an Approved Sovereign Chemicals Limited Contractor and undertake all aspects of damp proofing treatments and works. We are the main shop-fitting contractor for ‘Pineapple’ on behalf of Debbie Moore Enterprises Ltd. We carry out many refurbishment works for Hall & Woodhouse Brewery. We are main contractors for local Letting Agents carrying out all works to their properties within Brighton, Hove & Worthing. We are members of the Brighton & Hove Trading Standards Buy with Confidence Scheme. We have Public and Employers Liability Insurance cover of £5,000,000.00. We have our own Health & Safety Policy and are part of the Royal Bank of Scotland Mentor Service who advise us on any Health & Safety Issues. The Friends of Hove RFC exist to help bring sport and particularly rugby to all in the Hove area. Initially formed by members of Hove RFC to help those less fortunate in the Club, the Friends still exist to do that but have also widened their wings to help kids at Hove schools. The Friends will consider making grants to organisations (schools and sport clubs in BN3) for capital projects and also making money available to individuals who cannot afford the outlay. This second is likely to be for children under 18 but equally, we welcome applications from adults who cannot afford everything and need some help. Cardens is a locally renowned, medium sized firm of accountants based in Brighton and Hove. We offer accountancy and business advice to individuals, start-ups and companies. Our clients are local, national and international. We offer value through competitive fixed-fees, tailored to your specific needs. Our team are friendly, approachable, with jargon-free expertise and fast-response times. We work with you when you want, how you want. Our strong record of valuing customer care and supporting the local community means our business has been built and continues to grow on referrals. We work hard on your accounts so you don’t have to. Ask us for a free accounting and/or business advice session and see what we can do to save you time and money. Preston Insurance Brokers are an independent insurance broker based in Brighton, helping all types of businesses in and around Sussex and across the UK - with clients spanning from Brighton to Preston, Lancashire!